New season on Wednesday so new thread! This is always my favourite part of the season, I feel like most people are high on their teams chances. As a Leafs fan, this is usually the only time of the year I can be positive, but I've got this weird feeling for this season.. I think it's hope? Is this what hope feels like? This interview/feature with Paul Kariya is really something. his breath fogging up his visor. I did not remember him playing again in that game and scoring a goal. The top of the league looks really close this year. Penguins, Capitals, Lightning, Predators, Wild could all be there. There are also a bunch of teams on the rise: Edmonton, Winnipeg, Toronto.. I think Tampa Bay and Dallas bounce back. The salary cap has really brought in parity to the league. I remember that hit vividly. I thought Kariya was out permanently. But I do also remember him coming back and scoring - that was an amazing playoff run by the Ducks that year. Made me a fan of Kariya and Giguere. But Kariya remembers none of it. That's super sad, and just.. infuriating, actually. That's Auston Matthews after getting a puppy.. The Sabres locked up Eichel for 8 years. It’s a good day. Now, let’s hope they’re not boring anymore. Eichel gets 8 years, 10 million a year. A good deal for Buffalo, these are all of Eichel's prime years. 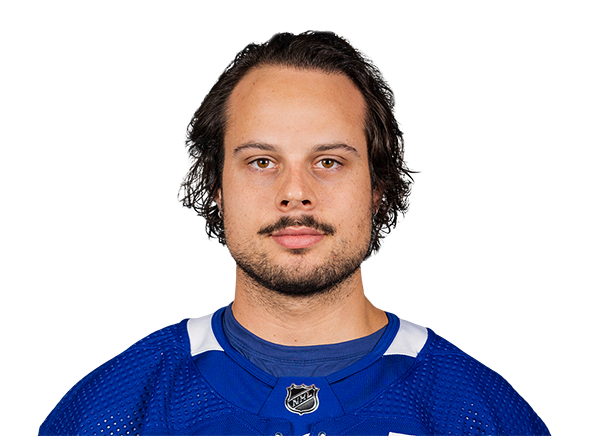 That sounds more or less what the Leafs will need to pay Matthews? Maybe a bit more. Tyler Dellow was writing some interesting stuff on the Athletic over the summer about how the salary cap in the NHL underpays top stars and overpays average NHLers. Trying to summarize based on my memory: if the cap should be perfectly distributed by how much a player helps you win, then a best-in-the-NHL star player like McDavid should be making more like $16 million a season. But for a myriade of reasons that doesn't happen (including McDavid asking to be paid less). Maybe the market will adjust over time, but at the moment having a top star is a double advantage, both on the ice and on the salary cap. There's also the massive advantage you get when you have a star player on an entry level contract. Yeah, that's true in the NBA as well. LeBron James accounted for 20 wins above replacement for the Cavs last year, and a win costs about $3-3.5 million in free agency, although I can't find a citation for that right now. That means LeBron should make about $60-70 million, but he only made $34 million. A good start to the season, 7 - 2 win over the Jets. I do think that the game wasn't as one sided as the score suggests, Toronto took a crazy 8 minor penalties. Killed them all off somehow, but the real reason the Leafs won tonight is because Anderson had an excellent game and Mason looked weak. I'm really happy with my Leafs so far. They've shown some weakness in their own end (specifically, the Bozak/JVR/Marner line keeps getting caught), but have the ability to dominate opponents in the offensive zone by rolling three lines of forwards who are all offensive threats. Last night vs the Blackhawks was an excellent game, Matthews was great. He spent most of the game playing against Kane, Keith and Seabrook, and controlled possession the whole night, ending up with even strength shot attempts: 29 - 3. And he got the OT winner. What's going on in NJ? I'm pleasantly surprised so far. Well, the Wild's next game should be interesting. Only had 11 healthy forwards going into the Blackhawks game and lost 3 more that game (and still won, take that Chicago). With an unforgiving cap situation they've sent down the 1 D they can and called up Kunin who will make his NHL debut, but that still leaves them with 9 forwards. Which makes me worry that Parise will come back from injury too early again, reinjure himself and be gone for much longer as he's known for pushing it on the the recovery front and frankly he's getting too old for that. That's absolutely terrible cap management. Gotta say I'm pretty happy with how the Flyers look so far. My only beef would have to be their goaltending. Last year they had decent goaltending, but were horrible at putting up goals. Now they can get pucks in the net, but can't keep pucks out of their own net. I'm a filthy casual 2011 bandwagon Canucks fan near Seattle, and while the Tbirds & Silver tips games are good, oof. The VAN vs BOS game today was hard to watch (is it wierd to feel outpouring of sympathy for the players?) Gonna be rough for a while. I guess it's our turn. I can go on the longest rant about the Canucks owners, managent, and process but they’ve broken my spirit. The GM, Benning, is a moron and the President, Linden, is an empty shill. I didn't get to sleep easily Wednesday night so I watched the 3rd period of the Kings-Habs game hoping for schadenfreude. It delivered. LA is really interesting because when I read season previews, nobody hoped for much from them - usually saw them around 8th - 9th in the west. But the modelling guys consistently had them near the top of the west. Now LA has come out of the gates really well and I'm wondering. I suppose it's not crazy to think that Kopitar was going to bounce back and that with some tactical changes the Kings might start converting their strong puck possession into goals. But it's also super early in the season, way too early to start making conclusions..
way too early to start making conclusions.. I've already made room on my shelf for a 3rd resin Cup statue. Great game between LA and Toronto last night. I'd be okay with that being the Stanley Cup final match up. Me too, just need to flip that score the other way. It was a good, tight game. Definitely a palate-cleanser after getting beat (badly) by Ottawa on Saturday. I'm just hoping the Kings can keep up this pace well enough to stay in the hunt, while Jeff Carter is out for an extended period of time. Given recent Kings history, anytime a goal scorer is going to miss time, panic starts to set in. Smothering defensive style still needs to eventually put one in the opposing net to win. But they've opened up their style a bit more, and at least for the moment, Adrian Kempe is filling some of the scoring void - plus holy crap, Dustin Brown remembers how to play hockey? Didn't think I'd be saying "I'm glad Vegas didn't take Brown" this year, but hey. Another bad loss, this time to the Hurricanes. Babcock was angry after the game. I really felt Anderson should have made a couple more saves, the game could have been different, but also can't disagree that the Leafs were outplayed for long stretches. Elsewhere, the Canucks are a powerhouse team? 6 - 2 win over Washington! Also elsewhere, injury/illness-depleted Sens manage to steal a game from the Flyers(thank you refs!) to catch up to the Leafs. Chlapik looked good in his first game, getting an assist 4 seconds into his career. Hopefully if Smith can play tonight they'll sit McCormick or DiDomenico and give Chlapik another look on a better line before sending him back down. Yeah that was an ugly game defensively. I'm disappointed that we got blown out, but I'm not that disappointed. Reason being is that we have a young team and defense is our weakness. So these things are going to happen from time to time. What I look forward to is management making some moves to shore up said defense. I imagine we'll pick up a veteran stay-at-home defensemen at the deadline to help us make a run into the playoffs. Here's what I really liked about the game: We were getting out scored, but I never felt like we were completely out of it. This team is deadly and unlike 2 years ago, can climb back into games on the regular. There's an intangible for you. The feeling of never being out of a game because we have 4 lines that can score at any time. I still think we're about a year and a few pieces away from a solid Cup run, but I think we'll win a series or two this year. They've had a pretty soft schedule. The coaching and goaltending has been very good as well. Top line of Baertschi-Horvat-Boeser has been very good offensively. There's definitely going to be a regression but with luck with injuries*, they have a chance to fight for a wild card spot.